The tournament consisted of 12 participants from the student body that included the bracket-style of single-game elimination. Participants competed against each other in a one-on-one matchup with their preferred NBA teams in five-minute quarters. After an initial bye round, 18-year-old freshman Claude Carr was dominant in the tournament eliminating all of his opponents by at least a 21-point margin. As a result of Carr’s dominance, he won the $50 Quick Chek gift card reward. Esports is a relatively new industry that doesn’t exclusively exist at William Paterson University but is prominent around the nation. In the United States, eSports was officially founded in 2002 under the company Major League Gaming that featured two of the biggest first-person shooter games, Call of Duty and Halo. MLG was a progressive introduction of eSports in America that capitalized off the popularity of the two titles and that quickly caused the industry continued to grow. A video game live-streaming service called Twitch propelled the industry making it much more accessible to watch and more entertaining with the addition of more video games. PC games ascended in eSports with the popularity of League of Legends and Overwatch. 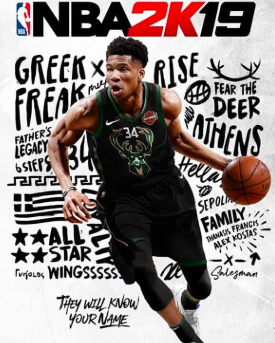 By 2016, eSports received national coverage on television to having its own competition show on TBS called “ELEAGUE.” In the following year of 2017, there was an announcement of a partnership between the NBA and 2K Sports declaring the ‘2K League’ where 17 official NBA teams are officially represented by players in a virtual basketball league. As a result of eSports branching off in many ventures, the industry accumulated about $906 million in revenue in 2018 according to Newzoo. As eSports continuously gains more national attention and revenue, the more people question its presence among other professional leagues like the NBA, MLB and NFL. Many traditional sports fans tend to discredit the legitimacy by arguing the lack of physicality within eSports. Despite that harping factor, eSports is proving to be comparable to the other sports leagues in the United States. Based off research from Syracuse University’s MBA, eSports will accumulate 84 million viewers only behind the NFL’s viewership of 141 million by 2021. Also eSports officially started to incorporate itself within college and high school programs. Currently at least 20 colleges in the country are offering scholarships to students to be apart of their eSports program, which validates the idea of a real sport. And as streaming services become the primary outlet of media, eSports will inevitably grow. With that in consideration eSports is likely to become as prominent as America’s top sports. While eSports hides in the area of ambiguity in terms of being classified as a real sport, it’s here to stay.